Another miasm between sycosis and syphilis is cancer. Cancer is a disease of excess growth like that described in sycosis, however with cancer it is more out of control. The disposition underlying the cancer miasm is that of having lost the ability to be oneself. Everything of cancer is generated from this feeling of ‘lostness’ whether it has occurred emotionally or as a consequence of being poisoned bodily. People in cancer are always trying to find something. In what they do there can be the added dimension of searching for something. Either slowly or very dramatically this disposition can change into a kind of perfectionism, a having found the right way to do something. Here they begin to replace the lostness, which is maybe more genuine, for wanting to do everything how it should be done. The ‘control’ of cancer becomes an expression of keeping up the perfectionism and this is a task in itself because doing things the ‘right’ way is no substitute for accepting oneself. If they reach a state of such magnitude the control breaks down and chaos ensues. The miasm considered to have some characteristics of the acute miasm and some of sycosis is malaria. The disposition of the person in the sphere of malaria is of being intermittently hindered and obstructed from being themselves. With this the person is perceiving that something is being done to them, usually by another person or other people. They feel limited in their ability to do what they want because of this obstruction from time to time. Sometimes this is further described as feeling they are unfortunate and even persecuted. This is probably due to the tendency in suffering to perceive what is happening to us as not happening to anyone else. Also, what may have been an accurate reflection of reality becomes no longer so. In the beginning someone here can be quite persevering, slow and steady persevering through adversity, kind of like a long distance runner. Over time this needing to always persevere can take its toll and the perception of being hindered then creates a kind of irritation toward others. One form this takes is the very prominent trait of the malarial disposition of the person coming to the place where they cannot stand being told what to do. This is because they connect being told what to do with not being able to do what they want to do, which is connected to being hindered and obstructed from doing what they want to do, which has been generalized from the feeling of being hindered in the ability to be themselves. Many remedies which produce the feeling of irritability are also prominently indicated for malarial affections. 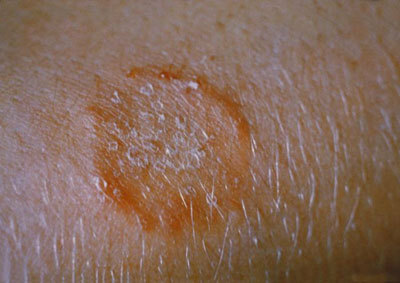 Another miasm near to malaria is ringworm. The disposition here is of being oneself perceived as a difficult thing to do. Lycopodium is a state very disposed to taking form in this miasm. Even to be around someone of this disposition you begin to think yourself that things are more difficult than they really are. This atmosphere that life is difficult pervades the miasm. I think this is the basis of the gratitude of the lycopodium state. When you make something easier, show someone who is thinking something is difficult an easier way of doing it, or you help them, they can be really grateful for it. Lycopodium is also prominently listed for herpetic eruptions. Typhoid is a very interesting miasm although it is a horrible disease. The state of typhoid is of the sudden loss of the freedom to be yourself. It is like someone who has a great deal of freedom to do whatever they like and then suddenly finding themselves in a strict authoritarian situation where their freedom has been suddenly taken from them. A very prominent and often proved symptom of typhoid is ‘Delusion bed, someone is in bed with him’ (Synthetic repertory), which means to suddenly lose the ability to be yourself. Another expression of this feeling is ‘Delusion home, away from, is’ and ‘Delusion home, away from, must get there’. Many of the well known remedies for typhoid, Rhus tox, Bryonia, Hyoscyamus, Opium, Lachesis, Carbo veg, Baptisia, Nux-vomica and Apis, are listed in these rubrics. Alongside the characteristic sinking and stupefaction of typhoid is also a counteracting activeness. Especially the dreams of typhoid are of physical exertion, swimming, hard-work, about the business of the day etc. It is in the context of the sudden loss in the ability to be oneself that this reaction can be understood. Interestingly we find in Bryonia the sentence ‘Anxiety compelled to do something’ (Dr Chawla). The symptom ‘Bed, get out of, wants to’ (Synthetic Repertory) has the remedies Baptisia, Bryonia, Camphor and Hyoscyamus. Typhoid is very much a state of helplessness. We could say that in typhoid the person can become helpless in their ability to regain their sense of self. The profound stupor reached in severe typhoid fever is a state of complete helplessness. Two very important remedies for typhoid fever Rhus-tox and Bryonia both produce the feeling of helplessness. The feeling of Rhus-tox is like the feeling of fear (anacardiaceae) with sudden helplessness, and the suppressed feeling of Bryonia is like that of anger (cucurbitaceae) with sudden helplessness. It is the feeling of being helpless with the anger which creates in the Bryonia state the anxiety about the future and also the fear of poverty. Carroll Dunham and Rajan Sankaran both state in their descriptions of Rhus-tox the feeling of helplessness. With these two remedies the sudden helplessness is slightly different from the feeling of being helpless in other remedies. Another manifestation of being helpless is rheumatism and all rheumatic and gouty conditions. The states of suppressed helplessness are the most prominent ones for rheumatic affections. Rhus-tox and Bryonia are both remedies indicated in some rheumatic conditions. It seems that the feeling of ‘shame’ with its suppression can also sometimes lead into typhoid. Some very important remedies for typhoid have the feeling of shame as part of the remedy and the state. Opium is a remedy indicated in some typhoid affections, and the remedies Helleborus and Hyoscyamus, also important typhoid remedies both create a picture of suffering in many ways resembling Opium. The feeling of Helleborus it seems is like that of profound mortification (ranunculaceae) with shame. Helleborus like Opium creates a benumbing of the senses, and “Painlessness of complaints usually painful” (Frans Vermeulen). It has“Hysterical mania from self-accusation…Believes she is doing wrong” (S R Phatak). In Prisma it is written of Helleborus “HELPLESSNESS”, which I think is more a state of typhoid reached here. The feeling of Hyoscyamus is like that of being frightened (Solanaceae) from the shock and insult of shame, (Shocks of fright, alternating with trembling and convulsions, Materia Medica Pura). Dr Banerjee writes about the Hyoscyamus state ‘The delirium is not violent and active as in Bell or Stram but is passive low, muttering growing more-so and passing from a state of coma vigil to stupor or unconsciousness (Opium) (Realistic Materia Medica). James Kent writes “Full of imaginations and hallucinations when asleep and when awake. Religious turn of mind” with women who have been unusually pious, they take on the delirium they have sinned away their day of grace.” Roger Morrison writes of the Hyoscyamus state ‘There is a strikingly absent moral or inhibitory ethic in many cases, which is described as “shamelessness” in our texts…Conversely we find a soft type of patient who is passive, feels unnecessarily shameful, and is depressed and hurt by disappointments. Hyoscyamus is a remedy to remember in cases of depression or mania after romantic relationships are broken” (Desktop Guide). Typhoid has the delusion of being under superhuman control, it also has ‘automatic conduct’. Another characteristic is jealousy which is really nothing more than a person who feels unfree looking upon the free. 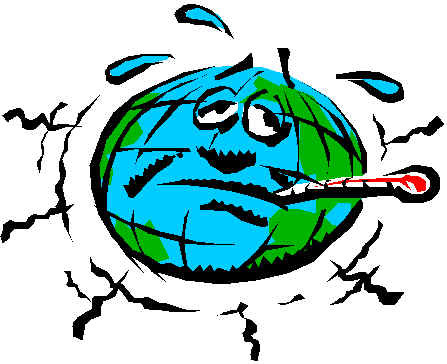 The expression of typhoid can be a demanding of the immediate need for things to be made better, to be set to rights. The feeling of the acute miasm for anyone who has experienced it needs no explanation. It the sudden feeling of being in great danger. There is something threatening the person’s well-being and they have the need to either fix whatever the threat is or escape from it. It is a lot like fight or flight. It seems to me that to call this miasm the acute miasm is to group together all the components of it, like cholera and smallpox (historically) etc. All the definite forms of this acute feeling have a very distinct disposition that belongs to the corresponding disease. For instance we can class cholera in a miasm of its own which at the same time falls within the sphere of the wider acute miasm. Cholera is the feeling of being in the midst of a disaster. A prominent symptom is ‘Aimless wandering from home’ (Verat-album). Remedies with an affinity to cholera besides the well known ones such as Camphor, Verat album and Cuprum include Jatropha, Elaterium and Aethusa Cynapium. Elaterium has the cholera feeling expressed in the symptoms “Fear of disaster” and “Wander desire to, night” (Dr Chawla).